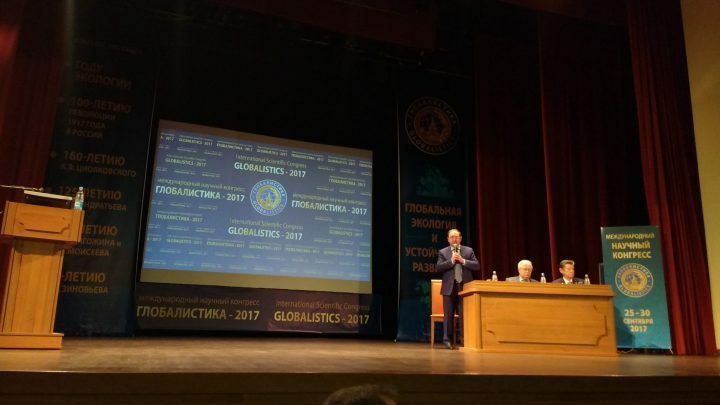 In the framework of the International Congress Globalistics 2017, organized by the Faculty of Global Studies of Moscow Lomonosov University, the Third International Symposium on Big History and Global Evolution was held from 26 to 28 September. Promoted by the Eurasian Center for Big History and System Forecasting and in collaboration with the Faculty of Global Processes at Lomonosov University and The Big History International Association, it brought together scientists from around the world. The Big History (also known as Great History or Mega History) is a relatively new field of study, the synthesis of disciplines ranging from the natural sciences, social sciences and humanities, which attempts to explore the general trends that occur throughout the entire existence of 13.8 million years. Its studies are based on the most current theories of academic thought.